Multi-family real estate is a great way to make passive income. If you are looking for something to provide you with long term passive income, look no further than multi-family real estate. This asset class is the favorite among investors for a reason. Let’s look at 5 amazing reasons you should invest in multi-family real estate by adding apartments in your investment portfolio. 1. Apartments are flexible real estate. You can adjust your rents according to the market cycles. During a down cycle you can lower rents to keep your occupancy high and during an up cycle you can increase rents and enjoy the extra positive cash flow. 2. You can force the appreciation on multi-family real estate. By performing improvements on the property you are generally able to increase rents, thereby increasing the property’s value. On your path to learn how to invest in real estate you’ll realize that as your rents increase so does the value of your building. 3. 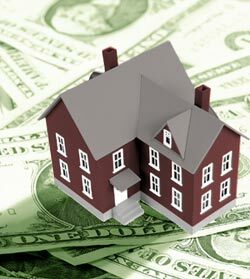 Investing in multi-family real estate can provide monthly cash flow which is a great passive income generator . Real estate is the most tax advantaged type of income. 4. Multi-family real estate are great tax shelters. With the proper strategy and accountant you should be able to use the depreciation and all the other advantages to earn the money tax free. If that doesn’t get you excited, I don’t know what will! 5. Leveraging owning a multi-unit complex can be more cost effective and more efficient than owning an equal number of single family homes. They are also much easier to manage as larger units and the economy of scale affords you some great savings. If you are interested in finding out more about how you can get involved , drop us a line! There’s no better time than now to start building wealth. We offer a great private lending program that could work for you.